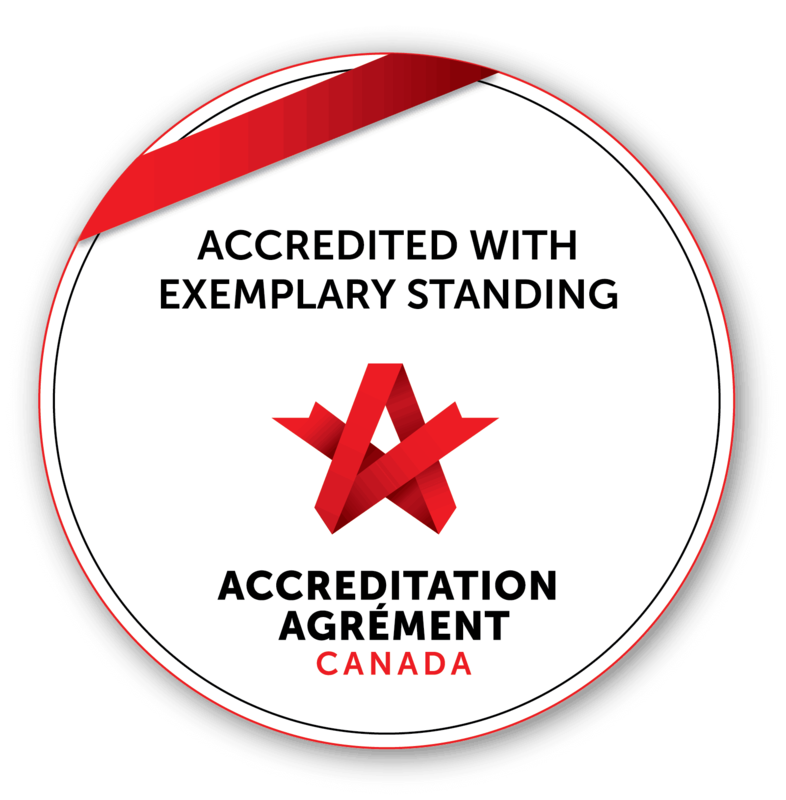 Providence Care is pleased to announce that it has been awarded Accreditation with Exemplary Standing, the highest level of performance awarded by Accreditation Canada. “This award is a testament to our commitment to deliver high quality, safe, compassionate care to the people we serve,” said Cathy Szabo, President & CEO. From Nov. 19 to 22 surveyors from Accreditation Canada visited Providence Care to evaluate the organization on how well it performs against national standards of excellence for quality and safety. Providence Care met all of the Required Organizational Practices categorized in six areas: Safety Culture, Communication, Medication Use, Worklife/Workforce, Infection Control, and Risk Assessment. Providence Care also met 98.9% of the standards of excellence against which it was evaluated. Providence Care is characterized by engaged and competent interprofessional teams dedicated to meeting the needs of its patients, clients and residents. Providence Care is well known for its collaborative approach and its positive reputation among community partners and stakeholders. Staff morale is high and is reflected in the care and service provided to patients, clients and residents. Providence Care’s Mission, Vision and Values are deeply embedded across the organization. Providence Care is truly committed to providing innovative, high quality, safe care to its patients, clients and residents. The report also acknowledged challenges facing many healthcare organizations across the province: the increasing complexity and unique needs of patient populations; continuing to incorporate the patient and family voice into program and service design, and addressing patient flow and alternative level of care issues. “There is a clear commitment to safety and quality improvement from the board, senior team, and staff at all levels,” said one surveyor. The Accreditation Report can be found here.